It will be a football season unlike any other. Some things remain the same year after year: Is Marvin Lewis coaching the Bengals? Yep. Is Tom Brady stiff-arming Father Time? Sure is. And is there a receiver making a catch that the rulebook says isn’t a catch even though every observer’s brain and eyeballs say it was? It wouldn’t be a football Sunday if there wasn’t. But one thing is very different in 2018: This year, Americans can bet on the NFL in places other than Nevada. The Supreme Court overturned PASPA on May 14 and opened the floodgates for state-by-state legalization and regulation, and we begin this NFL season tonight with wagering available in five states — with one or two more to come before the end of the season. If you want to place a sports bet in Nevada this football season, you can do so at almost any of the 334 casinos in the state. And many of them use mobile apps for betting, though you have to register for an account in person at the casino. And word in to USBets is that BetStars will go live, at least with a soft launch, any minute. Tropicana is expected to have a sportsbook before the end of football season. Legal sports betting launched in The Magnolia State on August 1, and there are already more land-based (or water-based) casinos in the state with sportsbooks than anywhere else but Nevada. All of the state’s 28 casinos are ultimately expected to offer sports betting, and at least 20 got up and running in the first month. As for mobile wagering, it’s only allowed on site in Mississippi. The newest addition to the fray, just in time for football season, is West Virginia, where one sports book, at Hollywood Casino at Charles Town Races, opened its windows on August 30. There are four other eligible properties in the state, and while Mountaineer Casino hasn’t yet applied for a license, Mardi Gras, Wheeling Island, and The Greenbrier have all been approved. All are expected to begin taking bets between mid-September and mid-October. And mobile betting is fully expected to follow soon after. Sports betting is legal in the tiny New England state, but the two Twin River casinos, in Lincoln and Tiverton, haven’t been cleared to offer it yet. Current estimates foresee October as the likely first month of sports betting in RI. Mobile betting is not part of the legislation that was passed, but future expansion in that direction is said to be on the table. Will The Keystone State have regulated sports betting before the Super Bowl? That feels like a pick-’em proposition. There are 12 casinos/racinos in the state, and so far, only Penn National and Parx Casino have ponied up the $10 million for sports betting licenses. Mobile betting is part of the picture too. It’s all a question of when, not if. 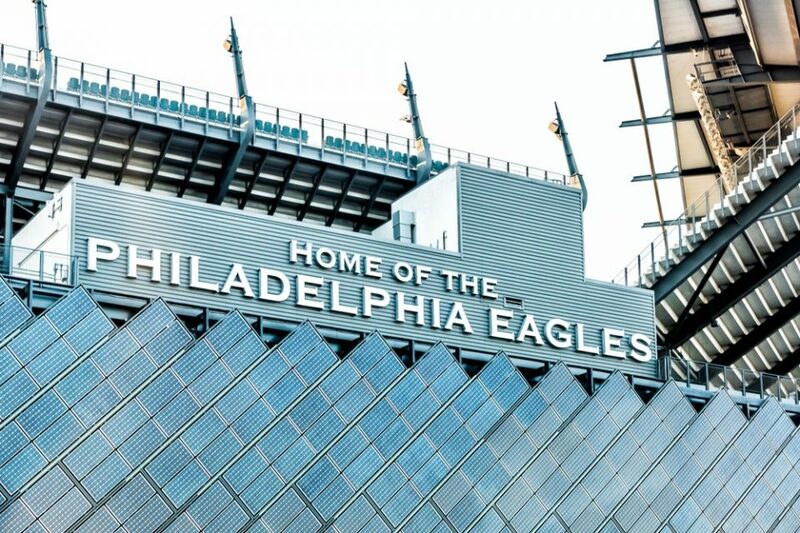 Regulators have stated that applications probably won’t be approved until November, so at least until late in the NFL season, Pennsylvania residents will have to head to neighboring Jersey, Delaware, or West Virginia to place bets. When it comes to sports betting, The Empire State is one big question mark. Betting is legal, but nobody knows when it will begin or to what extent the current laws will govern it, as new legislation could pass in 2019. The legality of mobile betting in the state is an unknown as well. Under the current law, four casinos are eligible to apply for a license: Del Lago, Tioga Downs, Rivers Casino Schenectady, and Resorts World Catskills. Barring some absolutely shocking twist, there will be no NFL betting in New York during the 2018-’19 season. As is the case for the two so-called New York football teams who share a stadium in East Rutherford, all the action is taking place in New Jersey.